It’s been exactly 12 months since Vogue China took our fancy and after a slew of unimpressive and forgettable covers throughout 2018, the magazine was due for something spectacular. For December 2018, Grace Elizabeth puts the publication firmly back on our radar — and we’d expect nothing less from the model who has delivered gorgeous covers this year for Vogue Brazil and Vogue Turkey, amongst others. The Estée Lauder brand ambassador electrifies once again, photographed by Sølve Sundsbø and styled by Katie Shillingford in an oversized Miu Miu coat for Chinese Vogue‘s latest issue. For the majority of our forum members, the cover was a return to form for the magazine. 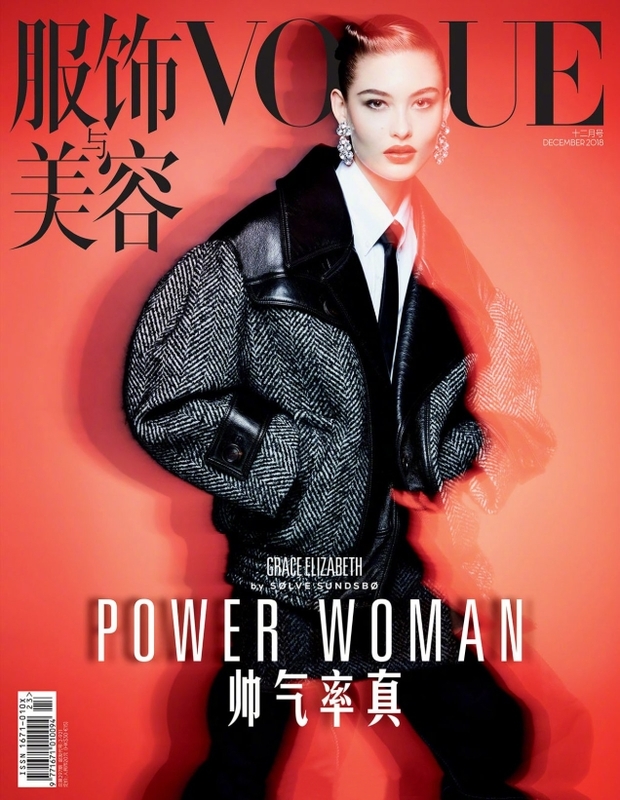 “This is the best cover Vogue China has produced in ages. Grace is really racking up those Vogue covers, eh? I can’t say I blame them. Her beauty is out of this world,” complemented Style Savvy. “Finally a fantastic cover from them, again!” cheered Miss Dalloway. “Finally an exciting cover from Vogue China! I love the red here, and Grace looks stunning,” forum member 333101 echoed. “Always stunning. A star is a star,” declared guimon. Yet for a select few, something wasn’t quite right. “Something looks really off about it, but I can’t really point it out exactly,” said SLFC. “The legs. The image is great, but the legs are distracting AF,” exclaimed ghostwriter10549. Do you suspect a Photoshop blunder or is the cover simply spectacular? Sound off on Vogue China’s December cover here.